It’s impossible to install WINE on EndlessOS since it doesn’t have compiler and getting one working on it is pita since it’s using ostree file hierarchy, because standarts are for nubs. So i decided to share a guide to get those apps working on endless using gentoo chroot. Disclaimer: You are performing this procedure on your own free will and i’m not responsible for anything. This is going to mount required filesystems and chroot into /mnt/gentoo meaning that you will be able to access gentoo on /mnt/gentoo using terminal simmilar to virtualbox. Now if you invoke ge something that something will be invoked on guest from host. 7) invoke /mnt/gentoo/chrootme as root. Invoke dispatch-conf on guest and follow up with use-new in TUI (Terminal User Interface), then reinvoke emerge command. 9) Make a new user on guest. We need .Xauthority for xorg to see a new display. Will be added on demand. Feel free to join https://discord.gg/bQHrGP or contact kreyren (me) on irc.freenode.org with questions. Don’t be so rude, if you dislike EOS, why are you still wasting your time with it? 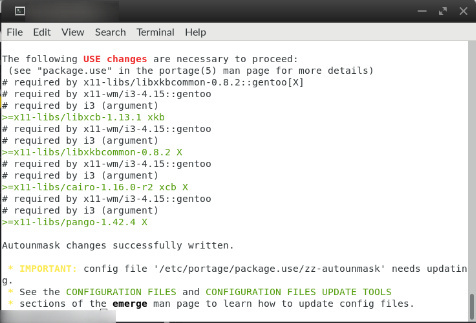 For you Gentoo seems the better way instead of EOS. But for many users out there, EOS exactly suits their need: A reliable Operating System for getting their daily stuff done. Because everytime i ask for something i get “We support only flatpak” + because there are issues that are not adressed like inability to get wine working thus tutorial above. What is endlessOS goal then?